THESE FORKS FIT ALL BUT THE 400 & 900 SERIES. IF RENTED WITH BOBCAT WITHOUT BUCKET- CHARGE ONLY $10 / DAY EXTRA. IF RENTED WITH BOBCAT WITH BUCKET- CHARGE ONLY $47.50 / DAY EXTRA. 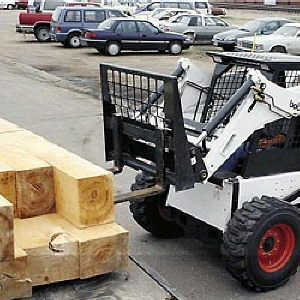 * Please call us for any questions on our forklift forks for s130 bobcat rentals in Santa Ana and Orange CA.